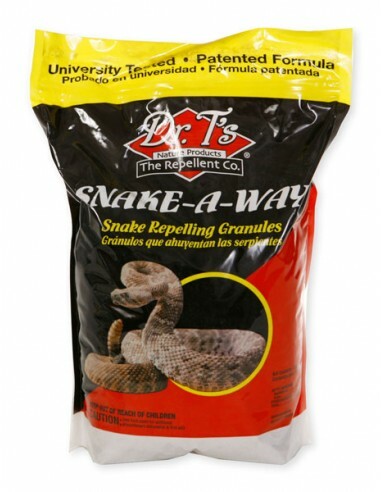 Dr. T's Nature Products Snake-A-Way Snake Repelling Granules is the only all-natural, EPA-registered granular snake repellent proven to effectively repel garter snakes, rattlesnakes and other snake species. 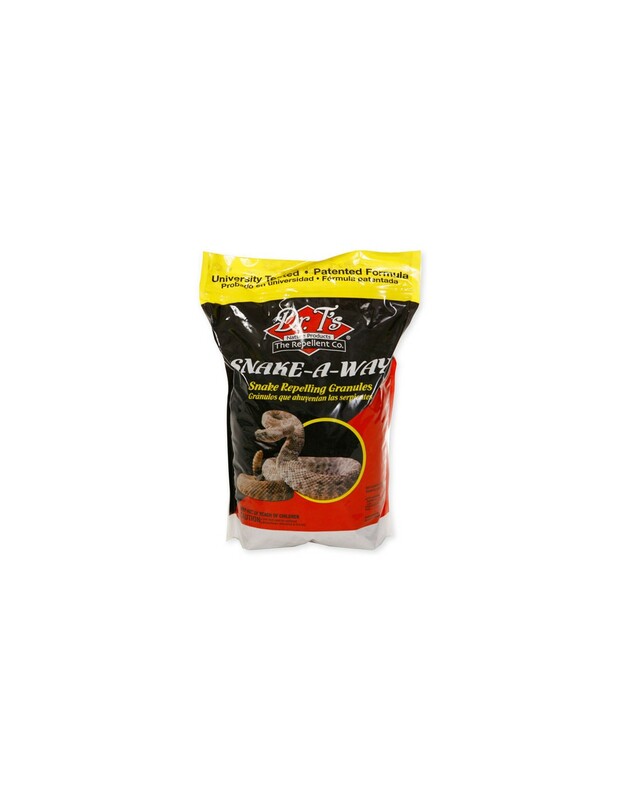 you with the ultimate in snake protection ! Snake-a-Way is detected by a snake's sensory organ (Jacobson's Organ). When Snake-A-Way is detected by the Jacobson's Organ it disrupts their sense of smell and direction. This lack of smell and direction causes them to leave the area in search of fresh air. Houses, cabins, trailers, garages, barns, woodpiles, trash cans, flower beds, or anywhere snakes are undesired. FALL: Application critical to prevent spring infestations arriving from hibernation and burrowing.